By Russell E. Madsen, Jr.
Validation is documented process understanding and control, which begins when it is determined that a molecule or compound may have clinical significance and ends when the product is no longer viable in the marketplace. When correctly done, linking process to product to patient, validation ensures safe and effective drug and biologic products and benefits the patients whose health and wellbeing depend on them. This third article in a three-part series (1,2) dealing with validation and technical transfer in the biopharmaceutical industry discusses validation of a non-traditional biopharmaceutical process, lifecycle and change management, and the benefits of well-conceived and executed process validation studies. The following example of production of cells used in autologous cellular immunotherapies for personalized medicine demonstrates how some conventional validation approaches may not be applicable due to the inherent process variability and because of the low numbers of units produced. In this example, the patient’s blood is passed through a device where cells are separated and segregated, and the remainder is returned to the patient. The cells of interest are isolated from the apheresis unit by a gradient/centrifugation process. Then the cells are modified. Sometimes the cells are incubated with an antigen. Other processes infect cells with viral vectors. In any case, there is an incubation period where the cells grow in a medium that changes depending on the process. The incubation period is also variable depending on the process. Then the cells are collected, washed, and resuspended in a fluid such as lactated Ringer’s. Depending on the process, intermediates may be frozen or refrigerated prior to onward processing. There are variable time limits on production and expiration periods as short as 18 hours for infusion of the packaged cells at the end of the process. A good way to approach this process is in stages. Each patient is different, as will be the collected and isolated cells, but the cell collection process can—and should—be standardized. For example, the apheresis unit and operating procedures should be specified based on studies that demonstrate the suitability of the equipment and operating procedures for the intended use. Any cleaning and sterilization procedures can likewise be specified and validated. The cell isolation process can be validated for the particular type of cells that are collected, including studies to ensure the cells are not damaged during the process and impurities are removed to acceptable levels. System operating parameters and capacity should be determined, and operations should fall within the validated ranges. Cell modification processes should be developed based on studies designed to show the effectiveness of those processes. Equipment, operating procedures, and processing conditions should be selected on the basis of those studies. Tests should be developed to measure the effectiveness of the process. Standardized collection and washing equipment, processes, and procedures should likewise be selected based on the results of studies designed to evaluate their effectiveness. Data to show these processing steps perform as intended should be available. Processing times should be evaluated, and minimum and maximum times established. Issues such as cell degradation and pyrogen formation should be evaluated, as should any process fluid and equipment sterilization procedures. If controlled environments are necessary, validation studies should demonstrate their suitability. Processing, holding, and expiration periods should be evaluated and established to ensure product safety (i.e., freedom from objectionable levels of endotoxin and microbial contamination) and efficacy (i.e., viability and integrity of the processed cells). Because each “batch” is more or less unique, it is not possible to validate in a conventional manner. But it is possible to ensure the processing steps work reliably and do not compromise the harvested cells, and that the cell treatment process, whatever it is, has been evaluated and shown to be effective. The principles of validation remain the same, but there may be some necessary interpretation to meet the requirements of the product. A consultation document published by the European Commission (3) and an FDA guidance document on human somatic cell therapy and gene therapy (4) provide useful information for developing validation studies for advanced therapy medicinal products. Validation requirements change throughout the life of a product. Validation begins at the point it is determined a molecule of entity may have clinical significance. It ends when the product is no longer in the marketplace. At the beginning, the proposed molecule, drug substance, biologic, or API—however it is identified—should be fully characterized, its synthesis routes defined, and any impurities identified and quantitated (5). Any purification procedures and processes, such as recrystallization, chromatography, and viral clearance or inactivation, should likewise be characterized and defined. Cell lines, fermentation processes, and bioreactions must be fully defined and described. This information serves as the foundation for producing material for clinical studies, initial regulatory filings such as investigational new drug applications (INDs) and biologics license applications (BLAs), and ultimately commercial production scale-up. Initially, development information can be kept in research or laboratory notebooks, but as clinical use becomes likely, formal development reports and initial validation work should be prepared, reviewed, and approved. Everything is interrelated, and detailed information is required to inform process development, scale-up, and commercial production. A product specification will be developed on the basis of initial development information. The product specification includes tests, analytical procedures, and acceptance criteria defining the product and establishes the set of criteria for demonstrating the product is acceptable for its intended use. It is one part of the overall product control strategy and forms the basis for the critical quality standards (CQAs) that will be approved by regulatory authorities. The product specification is established through evaluation of the process design, process capability determinations, and characterization of the product. Acceptance criteria are established based on data obtained from preclinical and clinical studies as well as from demonstration lots used to show manufacturing consistency and from stability studies. International Council for Harmonization (ICH) Q8(R2) is an excellent source of information about linking material attributes and process parameters with drug product CQAs (6). It stands to reason, however, that at the time of regulatory approval not all sources of process or product variability may be fully understood. For example, the impact of raw material variability or commercial-scale processing conditions on quality attributes may not have been fully determined. These factors are usually related to production scale and can only be fully elucidated once commercial scale has been achieved. In any event, the goal of development and scale-up studies should be to minimize any surprises later on. Problems result when technology transfer does not embrace quality and compliance issues from the beginning, tasks and requirements are not fully defined and understood, and project management is inadequate (7). Historically, acceptance criteria have been set based on process capability and stability information, but it important that clinically-relevant specifications (i.e., acceptance criteria) link the process with the product and the patient. To establish scientifically and clinically relevant specifications, a comprehensive understanding of the process is required through clinical and commercial development. 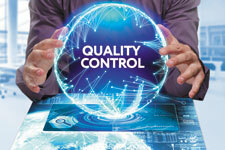 In terms of quality by design (QbD), specifications account for only one element of the overall product control strategy, which should employ a science and risk-based approach to define quality attributes based on overall assessment of the process. ICH Q6B contains comprehensive guidance on setting specifications for biological products (8). The control strategy assessment requires evaluation of the criticality, probability, and detectability of an event or condition affecting the process, the product, and the patient. Criticality assessments include efficacy, safety, and immunogenicity considerations, and these are used to define CQAs. Process capability is determined through univariate assessment, an understanding of design space, and process history. Testing strategies should be based on analytical method capability, stability, in-process control, and validation results. ICH Q9 provides a comprehensive discussion of quality risk management and risk management tools that apply to pharmaceutical and biopharmaceutical quality (9). Maintaining the validated state of control through the product lifecycle extends from product development, through process and analytical development, to process and analysis implementation and commercial manufacturing. The formalized control strategy is primarily employed during the implementation and commercial manufacturing phases. During product development, the target product profile and CQAs are identified, assessed, and established. Process and analytical development includes validation master planning, process characterization, and process parameter criticality assessment and classification. During the implementation and commercial manufacturing phases, engineering designs are finalized, equipment is qualified, processes validation studies are finalized, and ultimately continuous process monitoring and verification programs are implemented. Process monitoring and capability studies are used to predict the ability of a process to produce a product meeting pre-established quality attributes. An adequately designed and controlled process is able to reliably produce high-quality products as intended, reduces process and product variability, and provides a basis for continuous process improvement. Validation studies and data serve as the basis for modifications to the implemented manufacturing process and associated equipment, materials, procedures, and the operating environment. Without detailed knowledge of the current process and how it functions, it is impossible to assess the potential impact of any change. Therefore, it is important that the validation records and reports are comprehensive, detailed, and available to serve as the basis for any change. These data must include process and piping drawings, full equipment identification, specifications and parts lists, process operating parameters, and written procedures. Once the process has been validated, routine process control records, measurements of critical process parameters, and CQAs will serve as a basis for deciding whether changes are necessary. Multivariate analysis and evaluations of interactions among various process parameters, for example drying time, temperature, and particle size, can also show whether the process is operating within its design space. ICH Q8(R2) discusses pharmaceutical development and can provide helpful information with respect to change management and design space (6). A formal change control system must be in place, and any proposed change must be evaluated, reviewed, and approved prior to implementation. Change records must be current, up to date, supplement the original records, and be available to support future changes. Validation links the process to the product. Even the best validation efforts still leave room for variability that may be impossible to eliminate because it is inherent in the process itself (i.e., normal variation). Process validation aims to identify and eliminate the special, or abnormal, variation that may be due to improper process design, lack of important information concerning process inputs, and limited knowledge of processing equipment, its operation, and maintenance requirements. W. Edwards Deming pointed out the foolishness of trying to control normal process variation; it is special variation that should attract our concern (10). A process is inputs working through a processing system resulting in outputs. The outputs of one process can be inputs to other processes, or they can be a finished product intended for the patient. Inputs and outputs are influenced by people, material, equipment, procedures, and the environment. Validation does a reasonably good job with material, equipment, procedures, and the environment, but people—who are the keys to the entire process—are often left out of the validation equation. How often following some deviation or FDA 483 observation is the first impulse to blame an operator for the occurrence and the proposed corrective action to retrain the individual? Sometimes this is justified, but often it is not. Sometimes the error belongs inherently to the process and its variability (i.e., normal variation). Retraining operators to “correct” this type of process is a fool’s errand. However, sometimes personnel are the cause of process deviations due to inadequate training or performance. In those instances, correctly retraining people in how to do the job, but more importantly teaching them why it is important to do it in a certain way, can improve the process in question. Do not fail to consider people when designing a process validation study. Look at the overall process and its parts. Determine CQAs and perform appropriate risk analyses, not only with respect to the process, but for the patient who might use the product. Ishikawa diagrams and failure modes and effects analyses are helpful in visualizing the process and determining the process attributes that must be controlled. No matter what type of product, the stage of development or manufacture, or the form the validation studies take, if there is documentation supporting answers to all of the questions about a process that begins with who, what, when, where, why and how, that process may be considered to be validated. If not, there is more work to be done. 1. R. Madsen, BioPharm International 31 (4) (April 2018). 2. R. Madsen, BioPharm International 31 (5) (May 2018). 3. EC, Consultation Document Good Manufacturing Practice for Advanced Therapy Medicinal Products  (European Commission, 2015). 4. FDA, Guidance for Industry Guidance for Human Somatic Cell Therapy and Gene Therapy (CBER, Rockville, MD, 1998). 5. ICH, Q11 Development and Manufacture of Drug Substances (Chemical Entities and Biotechnological/Biological Entities) (Step 4 version) (ICH, Geneva, Switzerland, 2012). 6. ICH, Q8(R2) Pharmaceutical Development Revision 2 (Step 4 version) (ICH, Geneva, Switzerland, 2009). 7. W. Matzmorr, BioPharm International, 29 (4), 46-48 (2016). 8. ICH, Q6B Specifications: Test Procedures and Acceptance Criteria for Biotechnological/Biological Products (ICH, Geneva, Switzerland, 1999). 9. ICH, Q9 Quality Risk Management (Step 4 version) (ICH, Geneva, Switzerland, 2005). 10. W. E., Deming, Out of the Crisis, p 507 (Massachusetts Institute of Technology: Cambridge, Mass., 1986).